Hand tool has spur on end to clean buffing pads. 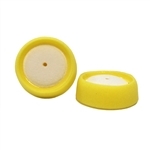 3" Yellow Foam Grip Pad, two pack. 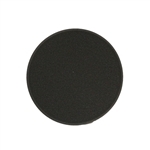 3" black foam grip pad, two pack. Wool light cutting pad with wool pile on one side and velcro backing on the other. 3" Two pack. 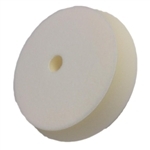 4"x1" White Finish Foam Grip Pad, two pack. 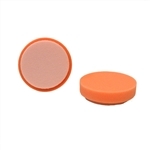 4"x1" Thick Orange Foam Grip Pad, two pack. 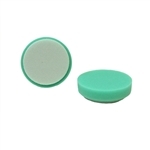 4"x1" Green Polishing Foam Grip Pad, two pack. Wool/Synthetic Blend Light cutting pad with 1.5" wool pile on one side and velcro backing on the other. 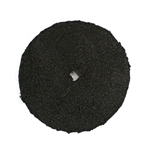 7.5" X 1.5" Wool light cutting pad with 1.5" wool pile on one side and velcro backing on the other. 7.5" X 1.5"
Work fast with confidence! Heat dissipates through open-cell foam, safeguarding costly paint and clearcoats. Double-bonded, heat sealed backer won't separate from pad during normal use. Finish under mirrors, along sculpted body insets, rain gutters, and trim with high speed power buffers—not by hand. The green pad has 60 pores per inch for light cutting. It's a very verstile pad; buff with light compound on clearcoats, rinse with water, apply polish or way. Works freat for humid weather when waxes may cake. Work fast with confidence! Heat dissipates through open-cell foam, safeguarding costly paint and clearcoats. Double-bonded, heat sealed backer won't separate from pad during normal use. Finish under mirrors, along sculpted body insets, rain gutters, and trim with high speed power buffers—not by hand. 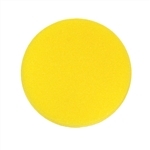 The Blue foam pad has 70 pores per inch and can be used for finishing. 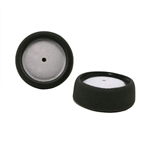 Scratchless everyday polishing pad for any surface. Use with wax and polish. Removes swirl marks and applies a fine gloss. 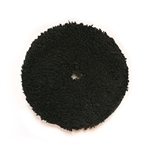 Black Micro Fiber Finishing Pad. 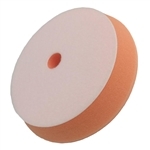 Maroon polishing foam grip pad, 6" x 7/8". 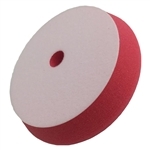 1 pad per package Soft red finishing foam grip pad, 6" x 7/8". Specially designed to clean and preserve Edge™ foam pads. Ergonomic shape makes it easy to apply to any high-quality pad. Tough construction stands up to constant use in your busy shop. Regular cleaning and proper care will keep your pads working longer and save you money. Sale Priced While Supplies Last! Edge 2000 Wave 8 Inch Foam Pad - Blue. Edge 2000 Wave 8 in. foam pad with unique waffle design. The wave texture effectively dissipates heat and reduces the risk of burning your vehicle's finish. The beveled edge gives you better access in otherwise hard-to-polish areas. Double-sided pad gives you double the value - simply disconnect using the Quick Release Adapter and flip-over! Perfect balance, perfect centering. 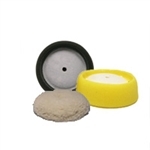 3" kit three pack: wool pad, black pad, yellow pad, and adaptor. 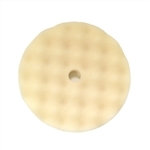 Large hook backing plate is designer for Hook and Loop fast attachment. 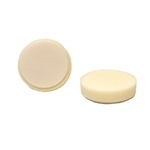 May use with our HB-1 through HB-5 series rounded edge buff pads, our 57-377 or 53-376 pads or with any 7 inch to 9 inch pads that have loop material on the back. Quick release adapter for double sided pads. This heavy duty chromeand brass adapter has a 5/8 in. thread that fits your Dewalt DW849 or similarly threaded polisher. Release button instantly connects to the pad, with accurate centering and secure anchoring. No exposed backing plate! White waffle foam 8" final finish pad with convoluted face and flat back. Purchase includes two pads. The BLACK final finish foam is for ultra smooth surfaces. Creates a bold crystalline gloss. For new, exotic or expertly restored cars. Two 8-inch pads per pack. Green wool pad made of 40% wool, 20% acrylic and 40% rayon for a light cut. It's ideal for light scratches on clearcoats. A great one-stop pad-use with your favorite one-step cleaner/polisheer for superb results. Wool pad is dual-sided and works with the Edge Adepter for quick change.